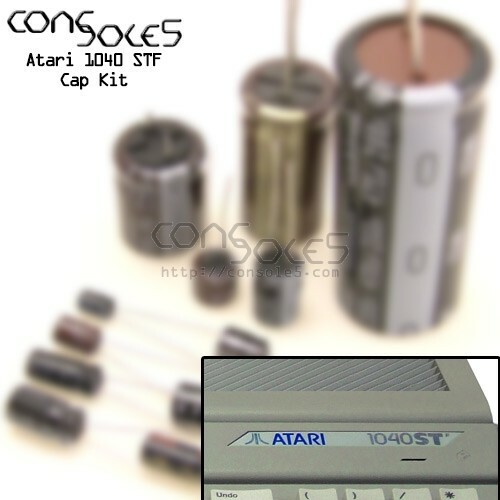 This kit contains all parts necessary to replace the axial electrolytic capacitors in the Atari STF Home Computer. The only exception is a radial capacitor is provided for the non-polar 4.7uF at C29. For other revisions, or if you have an STFM we can build a kit, but need to verify some information first. Please contact us for customization! Power supply kits are offered separately - please see related items! For capacitor info, please see our 1040 Wiki page.